An anti-piracy group with the stated aim of shutting down file-hosting services by strangling their finances has wasted no time in going after Kim Dotcom's new baby. Robert King of StopFileLockers says that his outfit has started a campaign to have the payment processor accounts of Mega resellers terminated. King, who is affiliated with the adult industry, says that from the start Mega was never intended to be a legitimate service and has "all the fundamental qualities" of an infringing file-locker. Yesterday was the big day. After a year of turmoil for Kim Dotcom and this associates, Mega was born from the ashes of Megaupload, destroyed by the U.S. government in January 2012 at the behest of the MPAA. The launch press conference in front of 200+ guests and a worldwide audience of millions was a loud and at times bizarre affair, but a couple of serious messages were underlined time and again. User privacy via encryption is paramount at Mega but that will not be at the expense of rightsholders. To that end, Mega says it has had a team of lawyers working to ensure that Mega meets its legal obligations in every respect and the claim that it is the most closely scrutinized start up in Internet history seems like a reasonable one. But already the hawks are circling, one in particular. Robert King is the lead figure behind StopFileLockers (SFL), an anti-piracy group dedicated to bringing file-hosting services to their knees by strangling their finances. Last year King claimed his group had a hand in disrupting the cash flow to hundreds of sites and actually shutting down dozens more. Now he has a very big scalp on his mind. “Mega itself does not process payments because nobody would process payments for it. A couple of Mega resellers have PayPal and they are being terminated,” he says. Speaking with TorrentFreak, King says Mega can’t meet the standards required by PayPal. “It has been widely reported that Paypal requires certain conditions to be met to become an approved file sharing merchant, on the face of it many of these conditions cannot be met by Mega,” he said. A look at Mega’s premium account signup page reveals a selection of resellers, all apparently reputable companies. They include domain name registrar Instra, whose founder Tony Lentino is the new Mega CEO, and other domain companies including EuroDNS and Digiweb. If these companies did indeed find their PayPal accounts closed or frozen, it could potentially disrupt their core businesses to the tune of millions of dollars. “We haven’t and wont go after legitimate services like Dropbox – however from its inception the new Mega was never intended to be a legitimate cloud storage service as it has all the fundamental qualities of an infringing file locker service, the only thing missing at this stage is an affiliate program,” King adds. Of course, there will be Mega users who upload copyright-infringing material, just as people upload unauthorized content to YouTube every single minute of every day. However, while YouTube is also a file-locker of sorts, in King’s eyes there is no comparison, despite Mega only being online for a couple of days with no time to prove itself. “At this stage there is no mechanism by which rights holders can gain access to remove files, there appears to be no plans to institute arrangements whereby files can be matched against MD5 or other fingerprinting technology for automated copyright removal and the detection of harmful content, and the site has not shown any wish to comply with the policies of the payment processors with whom it seeks to do business,” King says. 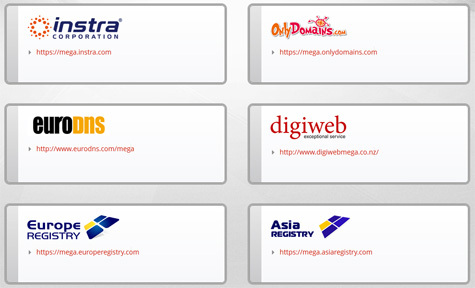 But of course Mega is very different technically to most other mainstream file-hosting sites. While it does have a very clear policy on the takedown of illicit content, King suggests that only proactive filtering will be enough to qualify Mega for taking payments via PayPal and other processors. However, due to the site’s encryption mechanisms, hash checking and matching simply won’t work. In the meantime, StopFileLockers say they are watching how Mega is being used. “We have already detected a significant amount of illegal and copyright infringing material being shared by the new Mega. There are sites already sharing links to hundreds of copyright infringing titles on Mega,” King says. We sent Robert King’s comments to Kim Dotcom and will update this article when we receive them. c There are 297 comments. Add yours?